Okay, first things first...I was going to add a poll to this post so that you all could weigh in on the thumb-nails vs. no thumb-nails debate for Frugal Fridays. But I was too lazy busy to create one...so I'm just going to ask, and hope you all will leave me your responses in the comments section. (Pretty please.) So here's my question...I know that adding the thumbnails to the Frugal Friday Linky Party takes a little extra time for the partipants to link up, but do you all agree that they add a little sumthin' sumthin' to the party? I really like being able to glance through the photos and get an idea of what the projects are like. What do you all think? Keep the thumbnails or ditch 'em? Now on to this week's Linky Love. I tell you...these parties just get better and better every week. I have such a hard time narrowing down what I'm going to share with you! 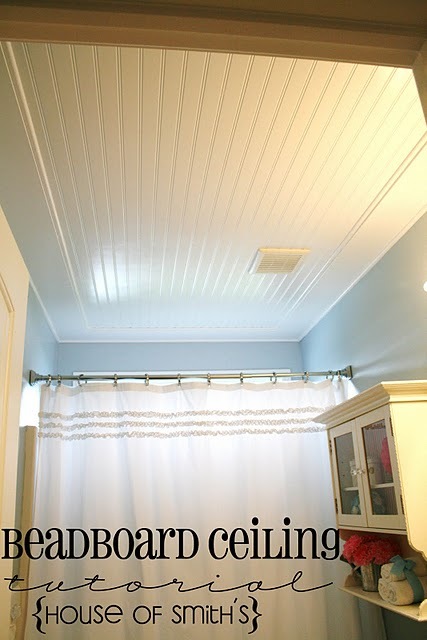 House of Smith's shared her fabulous new beadboard bathroom ceiling. I luuuuurve this! A Well Loved Home shared her Shabby Chic porch. This is amazing...that bed...it's a hanging bed...as in from. the. ceiling. Makes me wish I had a porch just so I could hang a bed from the ceiling. Lovin' the ugly-coffee-table-turned-lovely-window-seat shared by Peppertowne. So clever! 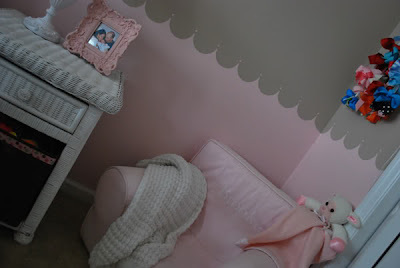 The soothing master bedroom reno from Busy Budgeting Mama was simply lovely. 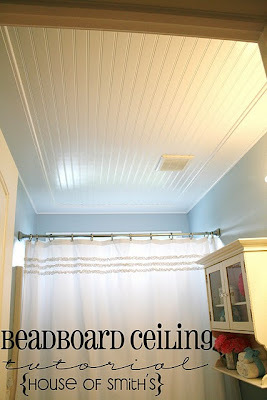 The Prices Day by Day shared a fabulous tutorial on how to paint a scalloped border on a wall. Precious! 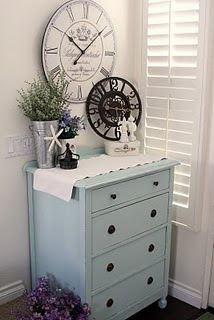 And finally, because I just can't pass up a blue dresser...here's a lovely redo by Aja Lee's Sweet Life. And this is just the tip of the iceberg, kids. If you haven't had a chance to check out all the Frugal inspiration from last week's party click here. I love them. My vote is to keep them. Makes it much easier to know what we are going to see. I like the thumbnail links a lot more than without. Keep the thumbnails! It's great to glance through at the projects. Please keep the thumbnails! It helps alot! I never actually complete a DIY to post but I LOVE the thumbnails. KEEP THEM! Keep the thumbnails pretty please! Keep the thumbnails!! It makes it so much easier to view what you are interested in. I vote to keep the thumbnails!!! Keep the thumbnails! Not only do you get an idea about what you are going to see...it makes it so much easier to find the project again when you want to make it, or refresh your memory, or what-have-you! Keep them!! Plus...it makes the party really cute! I really like the thumbnails! Like you, I really like being able to browse through all of the pictures. Thanks for giving people the opportunity to share such fun inspiration! 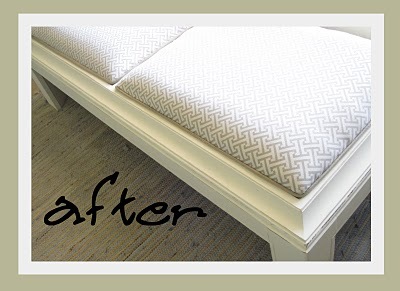 I love before and afters! Great pictures. Oh, and totally keep the thumbnails. Some people may not look at them, but I do! I vote for keeping the thumbnails! I have loved the addition of the thumbnails. Keep! what weighs more a pound of thumb 'nails' or a pound of thumbnails!? I vote thumbnails! 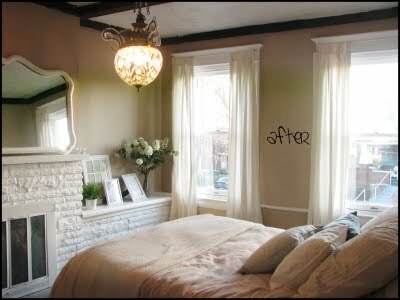 ok seriously made my day when i saw this post featuring our master bedroom renovation! huge fan of your blog! Please keep the thumbnails! WHen I look at a list of links, it's often too overwhelming and I don't visit nearly as many as I do when I actually have a picture preview. I wish EVERYONE who has Linky parties would use thumbnails! It's gotten so that blogs NOT using thumbnails are so disappointing...no picture to view. Love the thumbnails!